It was October 31st, 2009, and five-year-old Nate was dressed as Buzz Lightyear. Our normally quiet neighborhood was adorned in creepy decorations, and the streets were teaming with boisterous groups of costume-clad children. It was dark and pretty spooky for a kid Nate’s age, but festive enough that as long as his parents were nearby he didn’t seem to mind. We strolled from house to house on the hunt for candy, and Nate was enjoying the adventure of being outside after bedtime. As we approached one particularly well-decorated home in our neighborhood, we noticed a crowd had gathered outside. Curious what all the excitement was about, we took a break from our candy collecting to check it out. While everyone watched, a young child in a Spiderman costume slowly walked towards the front door. He was venturing alone, and his friends were urging him forward. Waiting for him next to the door, looking menacing and mean, was a life-sized statue of a zombie holding a chainsaw—one of many very convincing decorations surrounding the house. Spiderman stood next to the zombie and gingerly reached out his finger to ring the doorbell. 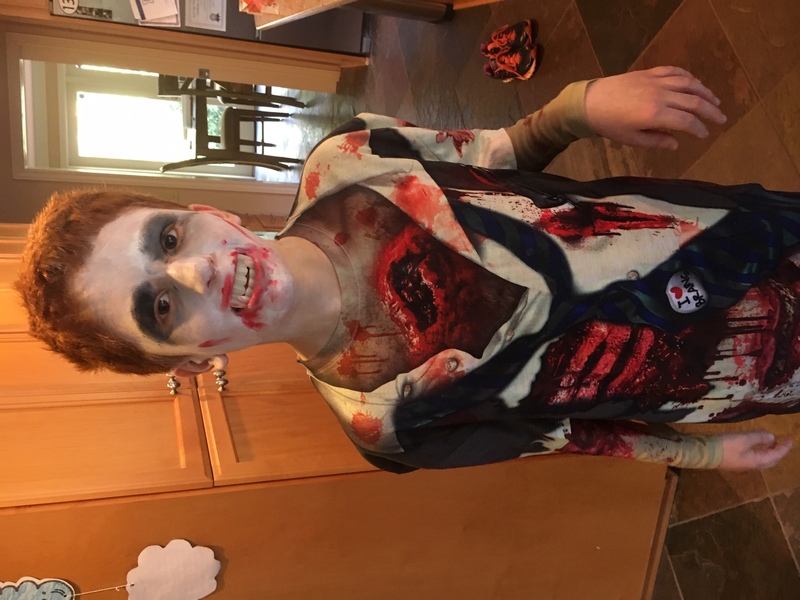 Just then, the zombie (who was in fact a real man in costume) sprang to life, shrieked loudly, and began chasing the screaming child down the street with the chainsaw buzzing. …in that moment, full of danger and mischief and successful pranking, he discovered his passion. It was all just a silly Halloween prank, and the “victim” recovered quickly, but it was definitely pretty scary for some of the younger children who saw it happen. A few kids in the crowd laughed nervously, a few cheered, and some (including Nate’s older brother) insisted right then and there that it was time to call it a night and go home. Not Nate though. Nate was frozen in place, transfixed. His eyes were wide and he held my hand tightly, but I believe in that moment, full of danger and mischief and successful pranking, he discovered his passion. 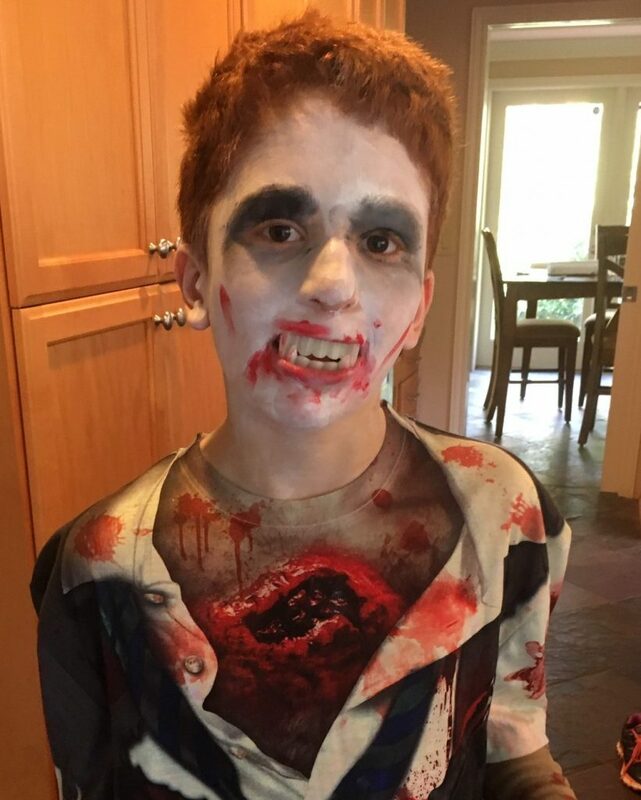 Nine years later Nate still adores Halloween. The vampires. The skeletons. The spiderwebs. The opportunity to terrify the people he cares about. He loves it all. From the time the decorations appear on store shelves in early September, until late October when the neighborhood is shrouded in cotton cobwebs and gory decor, his excitement builds. He assembles his costume with his signature singlemindedness, and he closely tracks how much time is left before the big day. The candy isn’t Halloween’s main attraction for Nate. Instead, it’s the spookiness that sparks his creativity, and the mystery that captures his imagination. As an Autistic fourteen-year-old, Nate’s interests don’t always align with those of other kids his age. He follows his own curiosity and has an impressively unique set of hobbies: Bigfoot hunting, rubberband collecting, prank-pulling and a newfound love of horror movies, to name a few. But each October, his lifelong love affair with Halloween collides with everyone else’s, and he can’t get enough of it. 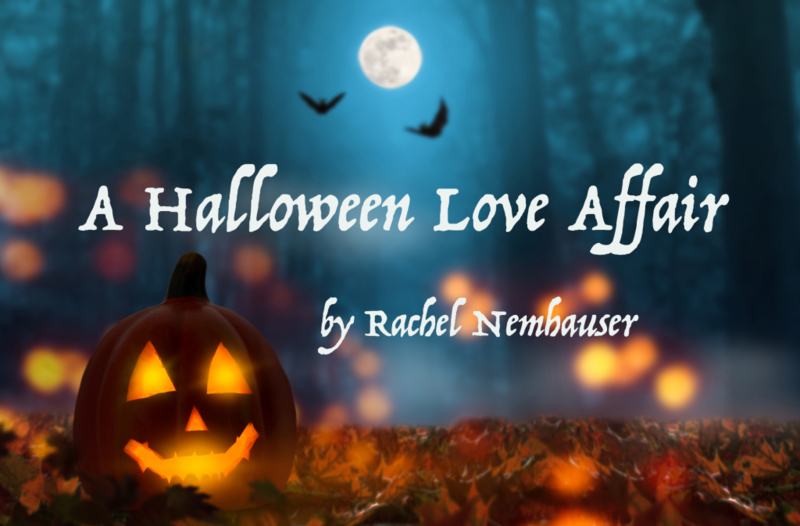 For a brief period every year, the world recognizes how cool ghosts and werewolves are, how fun it is to dress up in costumes, and how exciting it can be to play tricks that freak out your parents. All of a sudden, people want to talk about what matters to Nate, and his expertise on all-things horrifying becomes an asset. He may not be able to express it or even clearly recognize it, but October is a time of belonging for Nate and I can only imagine that it feels phenomenal. Despite the buildup and the enthusiasm, the day of Halloween hasn’t always been easy. Trick or treating requires a lot of walking for a kid who gets tired and distracted easily. It’s dark and hard to see, which can make navigating neighborhood streets and front porches a little precarious. Fellow trick-or-treaters dart from house to house so quickly that they’re barely a blur of Princess Elsa and Paw Patrol when they pass by, and Nate can’t always keep up. 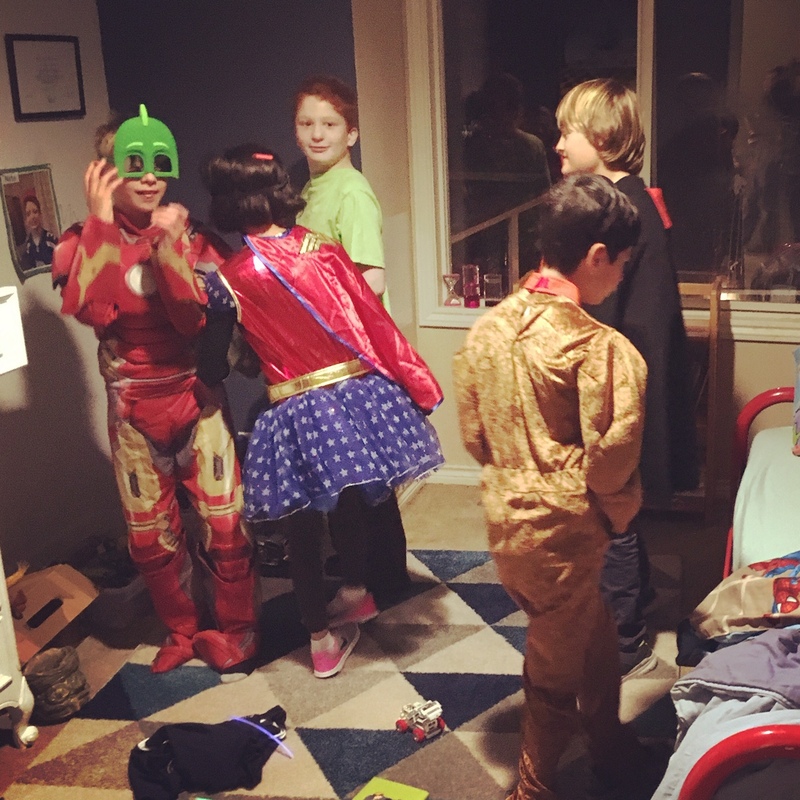 And with large, loud groups of kids crowded together on stoops to ask for candy, my minimally verbal son can have a hard time getting his words out. I’m happy to say that these barriers have yet to fade his enthusiasm. Halloween is Nate’s annual vehicle of connection to the world around him, and we’ve worked together over the years to find ways for him to be a part of it. Originally, our focus was around communication. 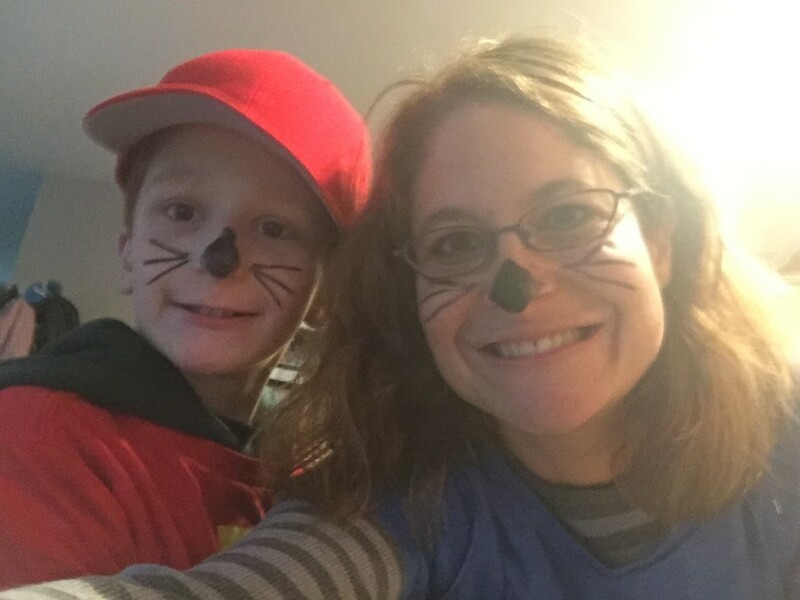 When he was a kindergartner and just starting to learn about using assistive technology to supplement his still-emerging vocabulary, he carried a small device with him that said, “Trick or Treat!” each time he pressed the button. Our neighbors were patient, friendly and understanding, and Nate got to practice using it over and over again. Every time he pressed the button he got smiles and candy. Success! He loved the routine and the feelings of accomplishment, and he kept at it. You couldn’t pay for speech therapy that effective. As he got older and better able to express himself verbally, our focus moved from communication to social connection. Even with his life-long devotion, as he approached the end of elementary school, Nate was struggling to find ways to be involved in the neighborhood Halloween festivities. His enthusiasm for the holiday had begun to waiver as he noticed some of the kids his age were outgrowing it. He was approaching adolescence, and the interests of his fellow pre-teens were growing more sophisticated. Perhaps not surprisingly, Nate himself solved this problem. In the summer of 2017, he announced clearly and decisively that next Halloween he intended to host a “‘ween party.” He wanted all the kids from his class to come, he wished to serve pizza and cake, and he planned to screen his favorite Halloween movies for everyone to watch. He had a very clear picture in his mind of what his party would look like, and he used his growing vocabulary to tell me all about it. 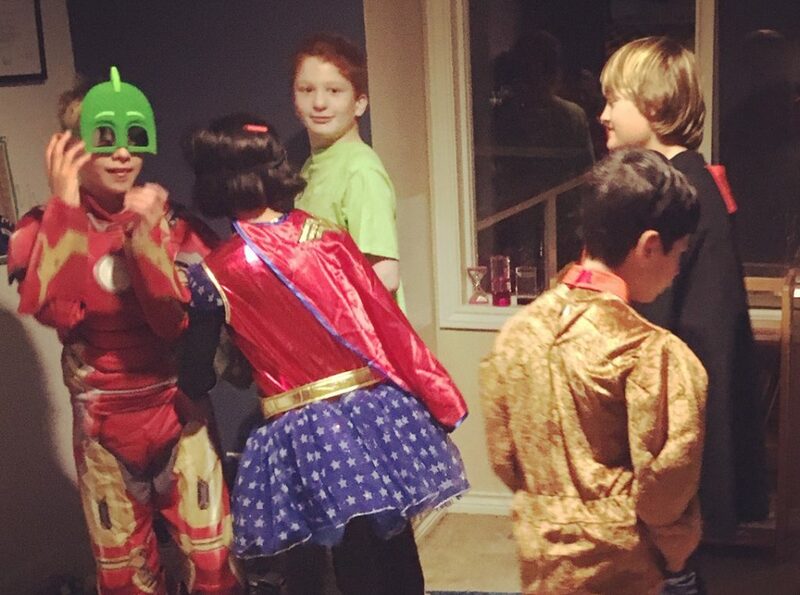 The appeal of celebrating Halloween with his friends motivated him to engage, communicate and plan, and it was delightful to watch. 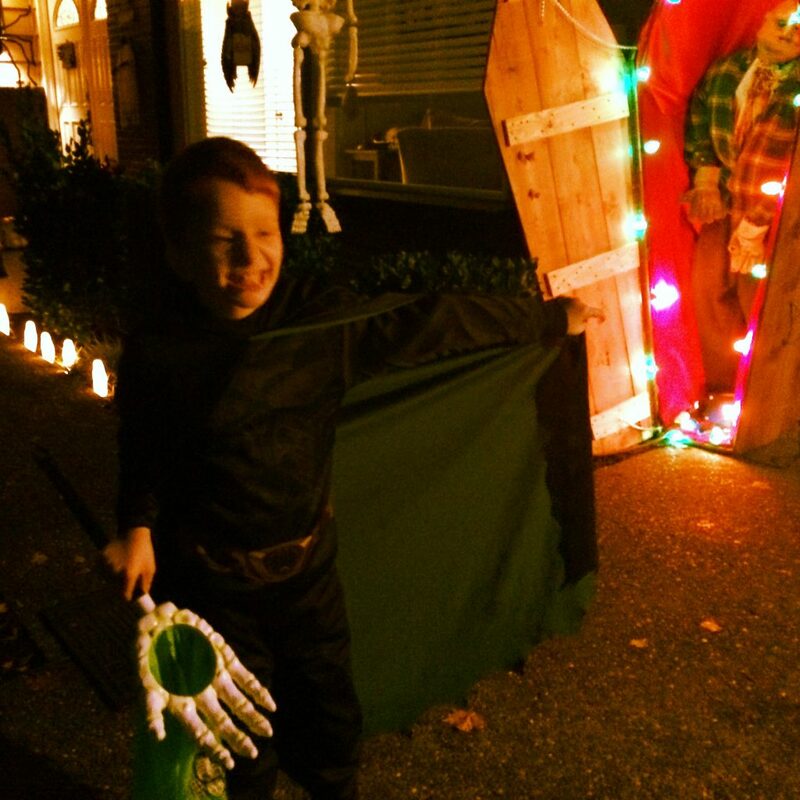 Nate hosted his first Halloween Party last October and we had a blast. Our walls were dripping with spooky decorations and a Halloween themed Scooby-Doo movie blared on the television. There was pizza, costumes, and a cacophony of giggles. The house was packed with kids amped up on Sour Patch Kids and M&Ms, and it was pandemonium. In the middle of all of it was my ecstatic, satisfied red head, clad in a Shaggy costume and smiling widely. Flanked by friends and eyes wide with excitement, he once again was able to draw on his love for Halloween and find connection with the people who mattered the most to him. We will of course be holding a second annual ‘ween party this year, and Nate’s planning is in high gear. This time he’s decided he’d like to prank his guests by serving them “poop pizza” for dinner. I’m not sure how I’m going to pull that off, but he’s been talking about it all season so you better believe I’ll figure out a way to make it happen. As Halloween approaches, I strive to make sure it meets his expectations, and continues to be his platform for connection and inclusion. I endeavor to facilitate his creativity and provide him an outlet for his joy. I have to admit I also strive to pocket his Peanut Butter Cups, Milky Ways and maybe a few Snickers bars when he’s not paying attention. I too have a list of life-long passions, and I can say with certainty that chocolate-coated peanut butter is very close to the top of it.